Making Wine, The Magic Begins! The magic of making wine is a fascinating subject, at least for those of us who haven't experienced it up close, and only see the results. Ah but what glorious results! And it all seems so mysterious. At first making wine seems simple enough. The winemaker starts out with some grape juice; he or she puts it in a barrel or stainless steel tank, and then the waiting begins. It can be a few months, it can be a few years, but after all the waiting, we have wine. If it is that simple, why is it that there is such a great variety in quality, flavor, texture? And how come we aren't all great winemakers? Actually many people try their hand at homemade wine, and are always on the hunt for a homemade wine recipe or more. For some of these adventurous souls, the results are so-so and decide that it is better to drink the wine than to make it. For others, it is the beginning of a wonderful journey from wine lover to winemaker, and a new career and lifestyle. So, How Does It All Happen? Though wine is a very old beverage, the actual chemical processes that makes juice into a fermented beverage wasn't well understood. It has only been in the last couple of hundred years, less at that, that we know that wine making is science at work. It was Louis Pasteur, the man best known for vaccination, that was able to explain to the rest of us how sugar becomes alcohol after a while. This is called fermentation, and it is part of the magic. Another part of the magic is the maturation, or aging, of the wine. Some wines are meant to be consumed young, that is, soon after they are made and bottled. This period of time can vary from a few months to a year or two. Other wines benefit from longer aging. This period can be anywhere from two to five years. And some wines have been known to age well for several decades. Another variation in the aging, as well as in the fermentation, is where the wine is going to be maturing. Will it be in an oak barrel? or will the winemaker decide to use a stainless steel tank? This decision will greatly affect the flavor of the end result. Of course, none of these steps can happen without the key ingredient, the grape. And making wine really starts in the vineyard. 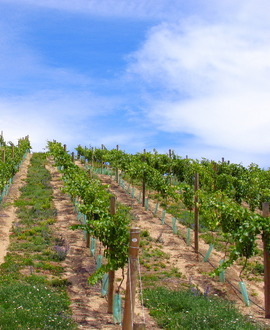 Not only will the weather and place where the vine is grown affect the final outcome, but most importantly, the grape variety dictates much of the techniques used in making wine. If the grape is a Cabernet Sauvignon, it will dictate a particular set of techniques, as making red wine requires methods that are somewhat different from making white wine. If the grape is a Chardonnay, then the master will pull a different set of tools from his magic bag. Is Winemaking Art of Craft? Some people speak of wine making as being an art, others scoff at this notion. They believe that a good winemaker is just great at his craft, no more no less. I once read that winemaking cannot be an art because the winemaker is working with a set of ingredients and tools, whereas the artist uses his imagination. It is not for me to say whether wine is a work of art or not, but I think that an artist also has a limited set of tools and ingredients to work with, it's just that those tools and ingredients are a bit more varied. 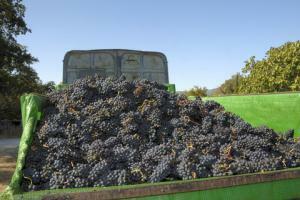 A winemaker uses grapes, yeasts, barrels, stainless steel, sugar, etc. to work his magic. an artist uses pain, paper, brushes, wood, marble, glass, fire, to produce his magic. Perhaps the ingredients and tools that an artist has at her disposal are more varied and unpredictable than those that a winemaker has, but the artist doesn't come up with a work of art out of thin air. You Decide, Art or Craft?